78 customers have given this product a 5-star rating. 28 customers have given this product a 4-star rating. 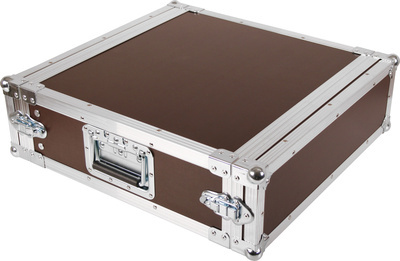 I use this case for as a small amp-rack and it does the job. I would not recommend using heavy equipment in these cases since there is no rack-rail in the back of the case, hence you can't screw a heavy amp in both ends, which in rough handling could crack the case. Solid rack for its price! I am very pleased with this product, racks in this price range is usually not very stable. This rack is rock solid, it has been on countless shows and no sign of breaking. Great product for its price! ID: 175982 © 1996–2019 Thomann GmbH Thomann loves you, because you rock!